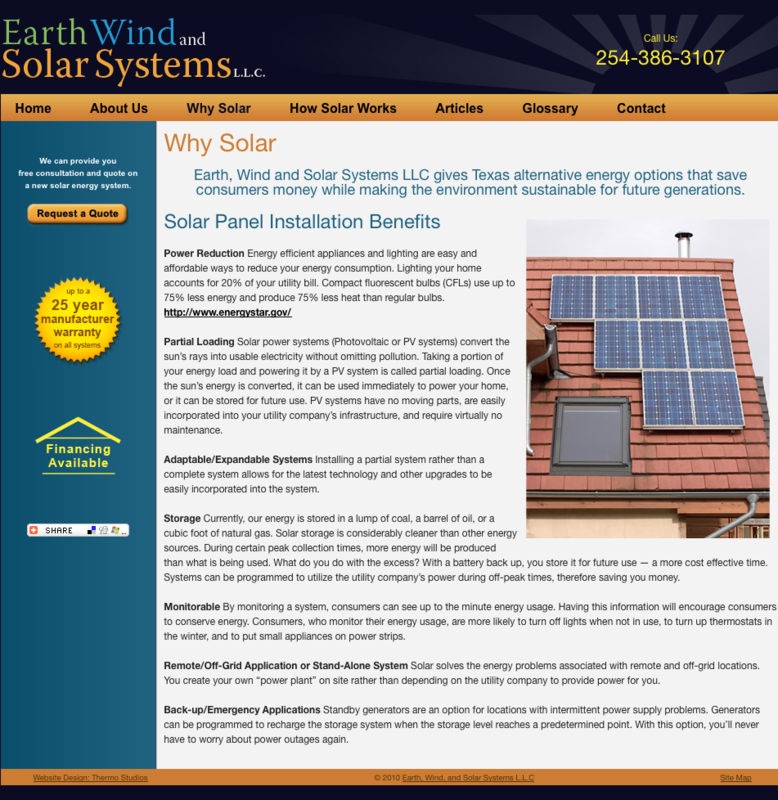 Earth, Wind and Solar Systems was a new solar system installation and consulting company. 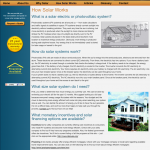 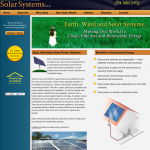 We helped them get established on the web with a web design for solar customers. 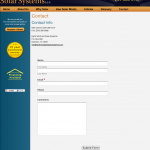 It was a sharp looking yet simple website. 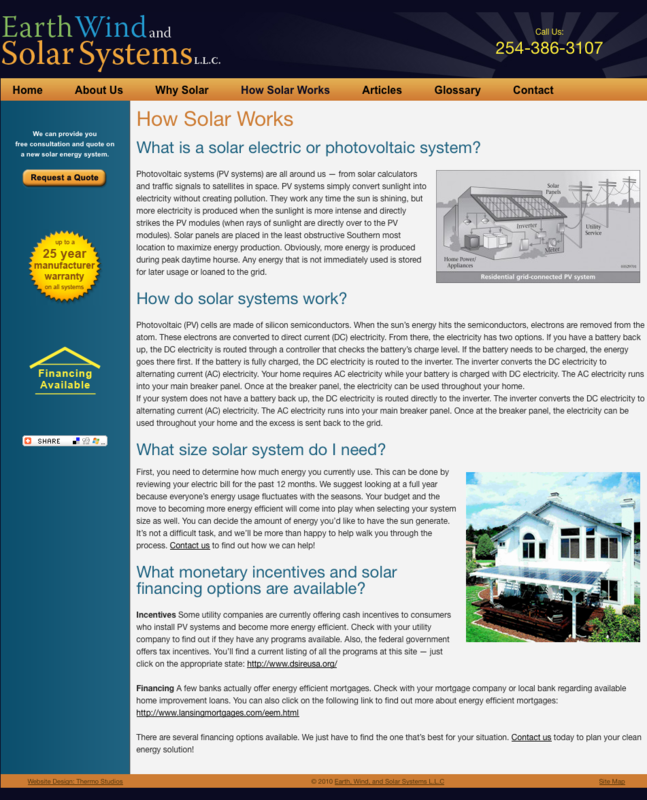 This website design for solar customers used all the fundamental elements for a successful website, and our client was very happy with the results. 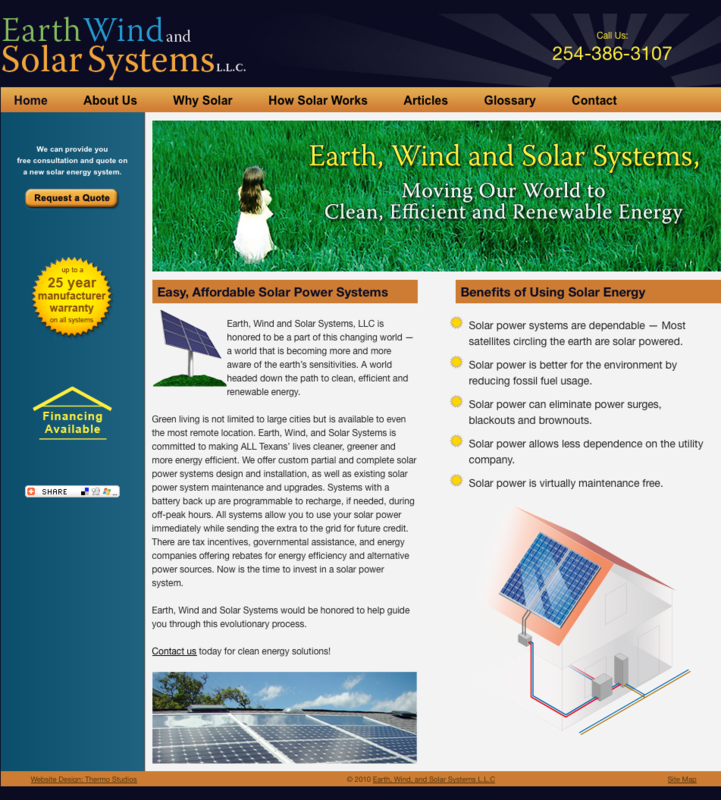 We started with a clean, professional look, added compelling content, and applied search engine optimization by using keywords in all the search engine sensitive areas. 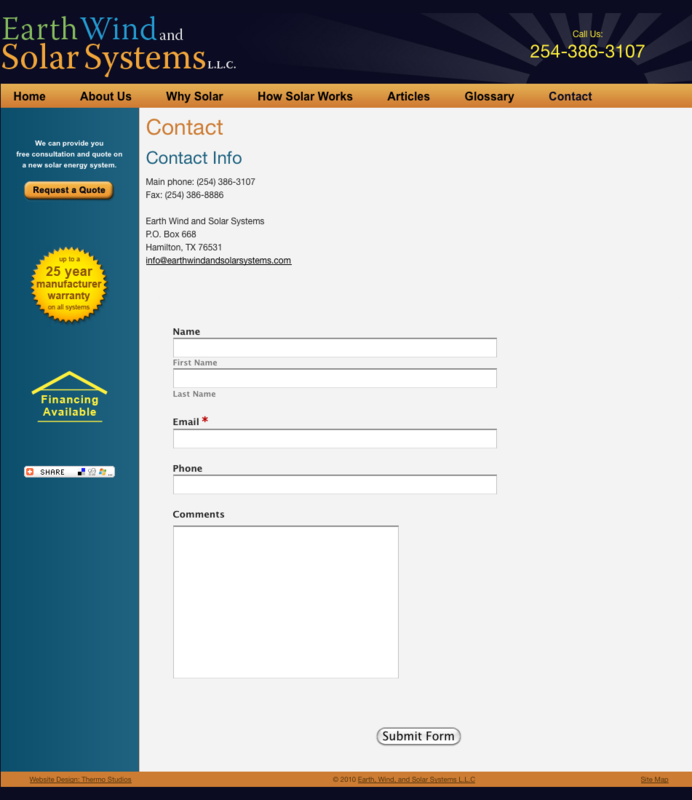 This resulted in gaining traffic, driving people to the contact form and tracking all the user behavior with a web stats tool.